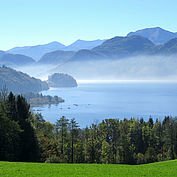 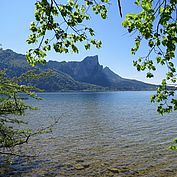 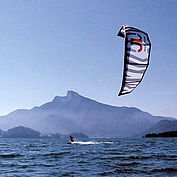 The Mondsee region is characterised by its two beautiful lakes; both are fabulous for swimming but differ greatly from each other. 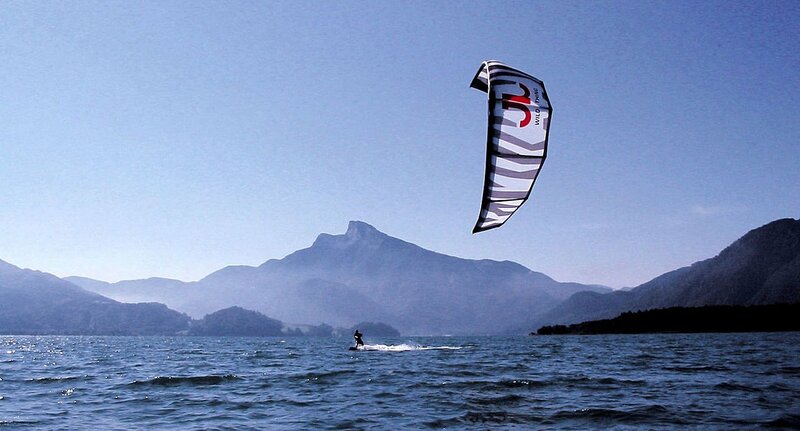 One promotes activity and is perfect for water sports. 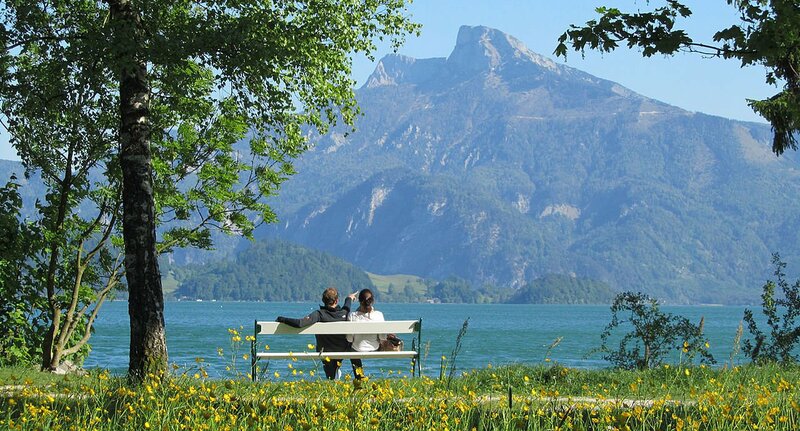 The other is a nature conservation area and paradise for those wanting to relax. 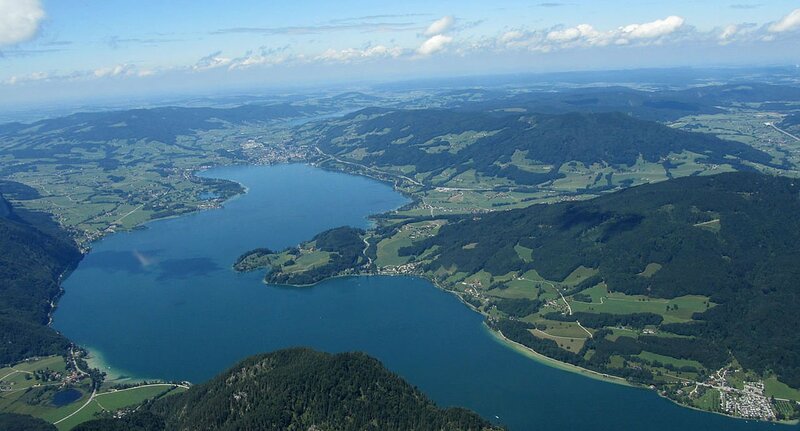 There is only one word to describe the unlimited opportunities which lie between and around these two lakes: variety. 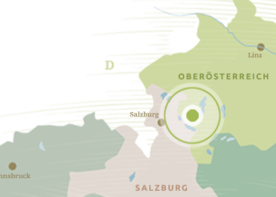 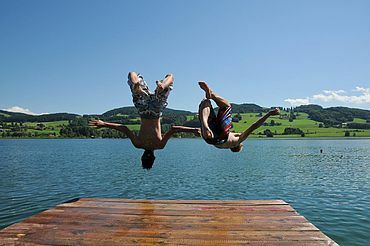 The Mondsee region encompasses the area around both the warmest lakes in the Salzkammergut, the Mondsee and the Irrsee. 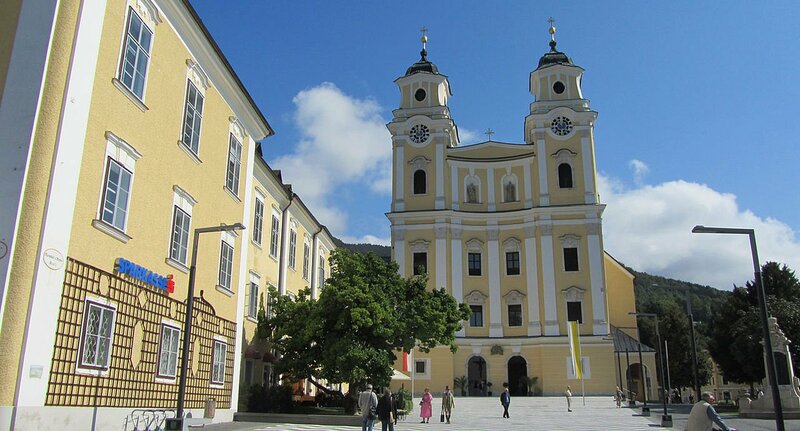 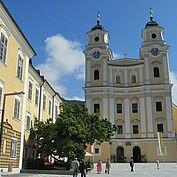 It stands out not only for its proximity to the Festspiel city of Salzburg where you can enjoy concerts of the very highest quality, it is also well loved as being a region which offers something for everyone. It is paradise for all water sports enthusiasts in the summer – the Alpenseebad in Mondsee is one of the most popular lake swimming lidos with its own funpark and the longest water slide in the Salzkammergut. Spring and autumn are wonderful times of year to make the most of the countless footpaths and bike paths which cater for all abilities. 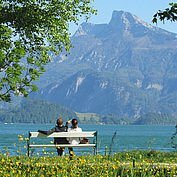 You can enjoy gentle walks through woodland and through alpine pastures, or strike out for the summits of the Schafberg, the Schober or the Drachenwand mountains. 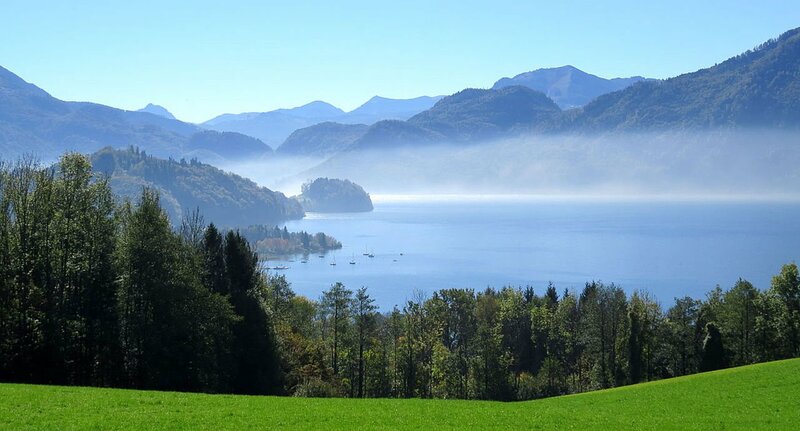 The Drachenwand via ferrata, with its own swing-bridge, awaits the courageous. 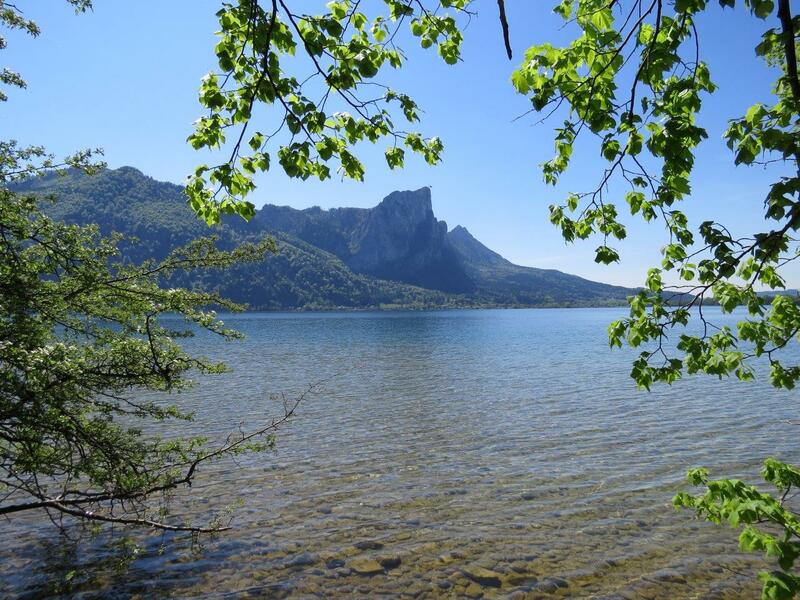 For those on two wheels, circuits of the Mondsee or Irrsee lakes make for gentle, beautiful days or you are welcome to strike out and discover the surrounding Salzkammergut area. 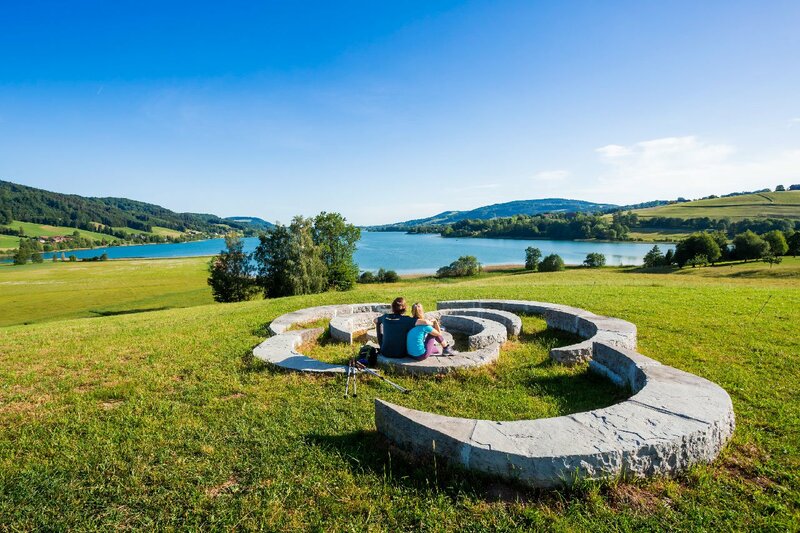 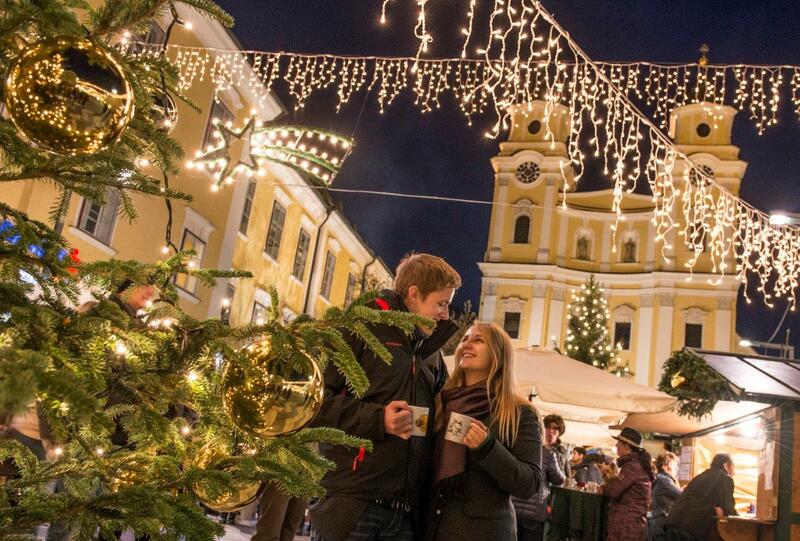 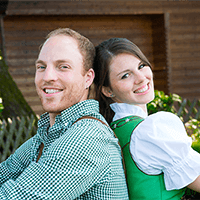 The Mondsee region offers a wide variety of events throughout the year, so you can enjoy the popular town centre in all its guises. 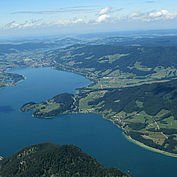 There is the lake festival, the Mondseer Jedermann (a series of top class concerts), the Chamber Music Festival, summer concerts led by local orchestras or, for sports enthusiasts, the half marathon and the 5-lake bike marathon amongst many others. Much-loved is of course the annual Christmas market, held in the gothic cloister and in front of the beautiful St Michael’s church.